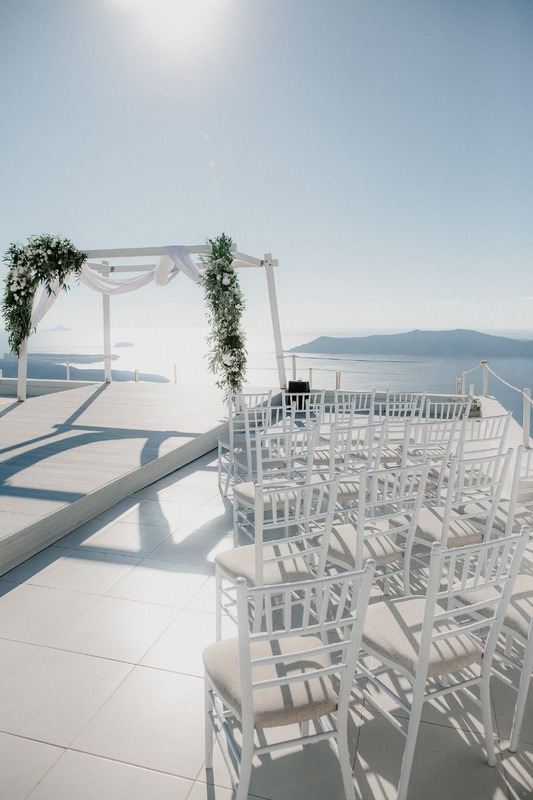 Brides, have you considered Santorini as your wedding destination or honeymoon hot spot yet? 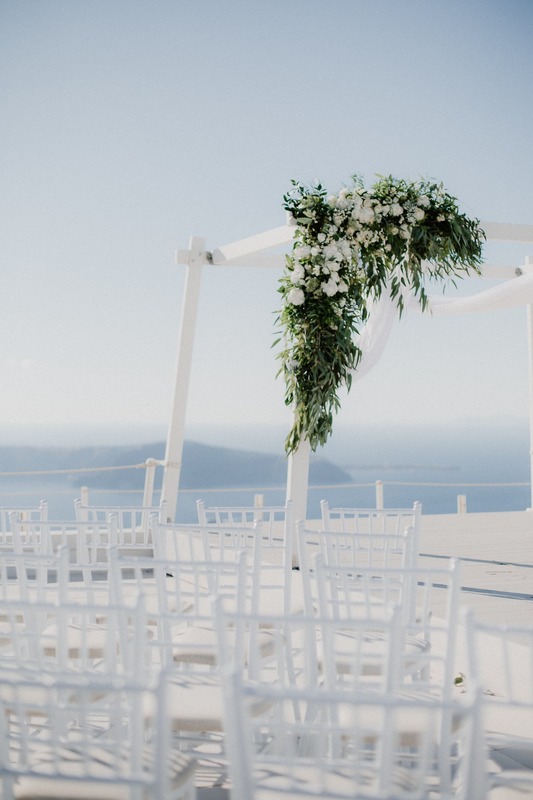 If not, maybe this wedding will convince you why it’s one of the prettiest places everrr. 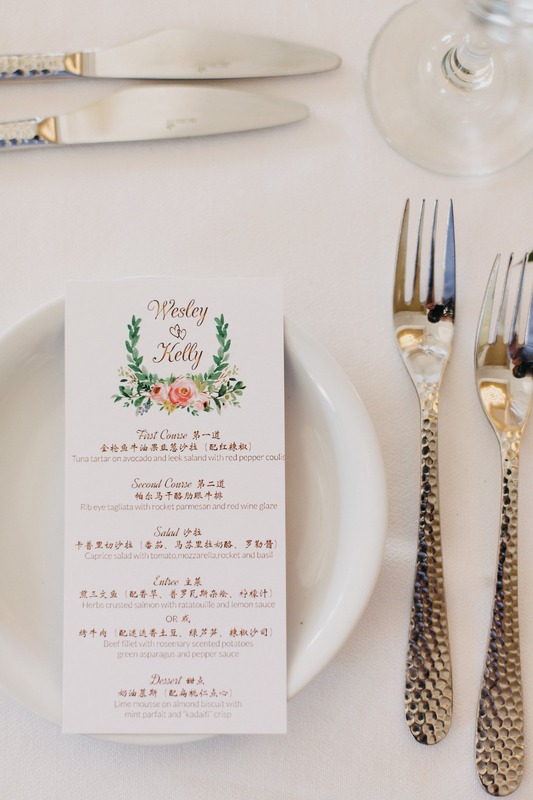 The world-class La Maltese was the setting for this modern organic wedding. 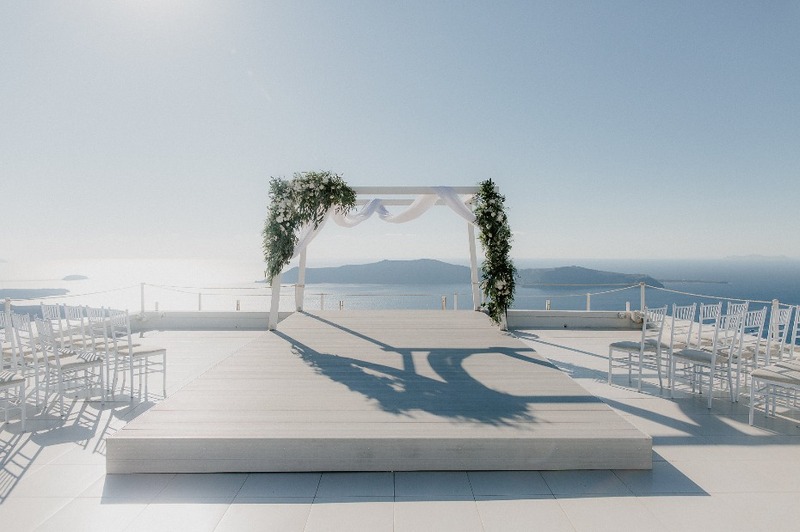 Imagine saying “I do” with panoramic views like this! 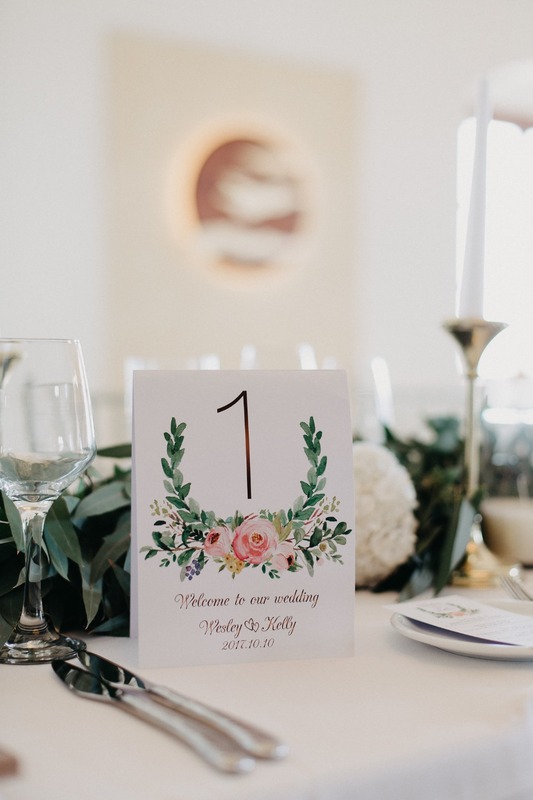 Kelly and Weiija wanted their day to be one they would never forget, and even at 5 months preggo, the bride was more than willing to jet set to this beautiful location to celebrate. 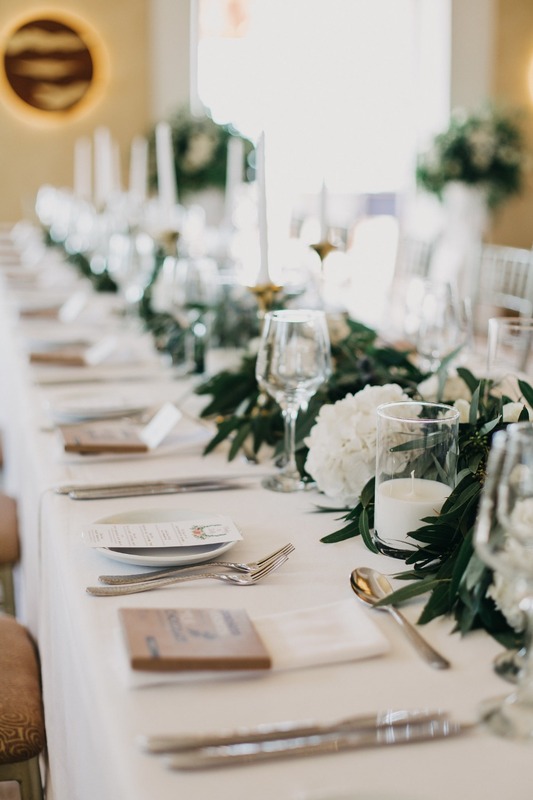 See all the elegant details below captured by Anestis Papakonstantinou and if you want more, the full gallery is where it’s at. 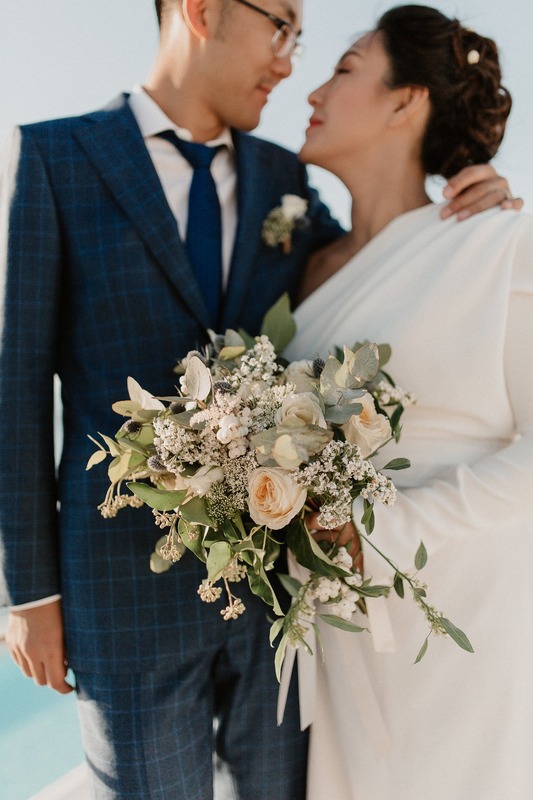 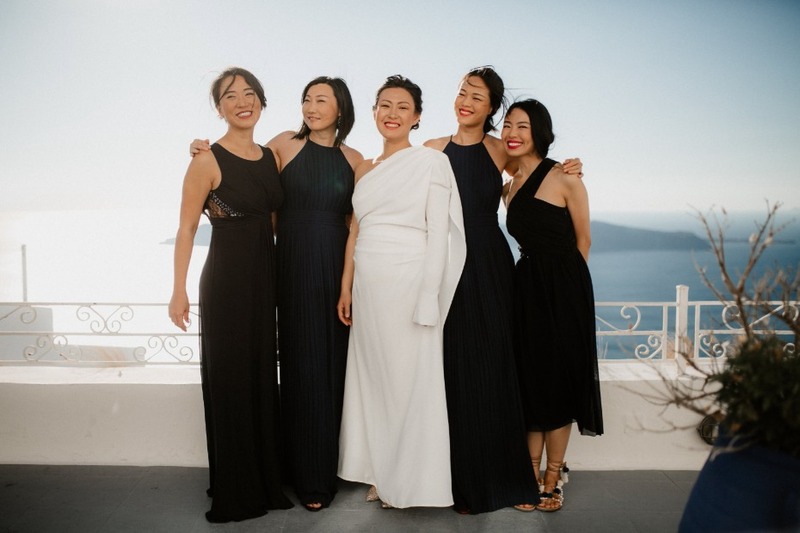 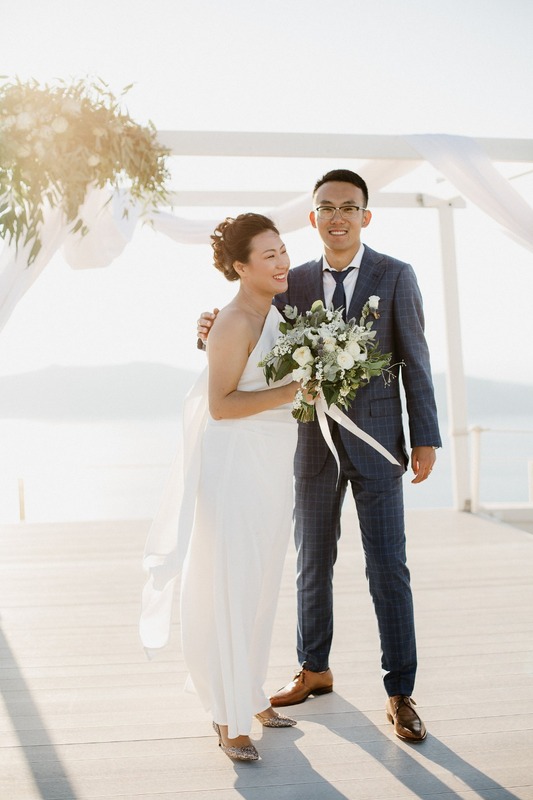 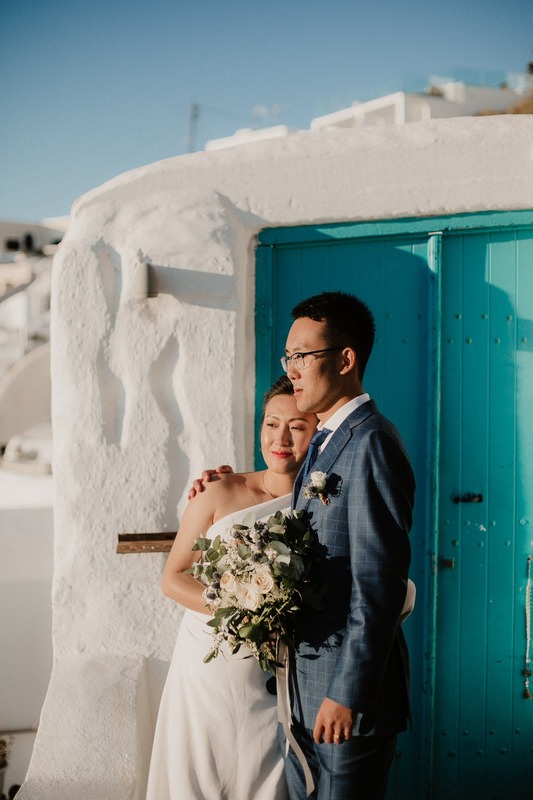 From Mk Events by Santo Weddings: Kelly and Weiija decided to exchange their deep lovely vows with their family and close friends on a Greek island. 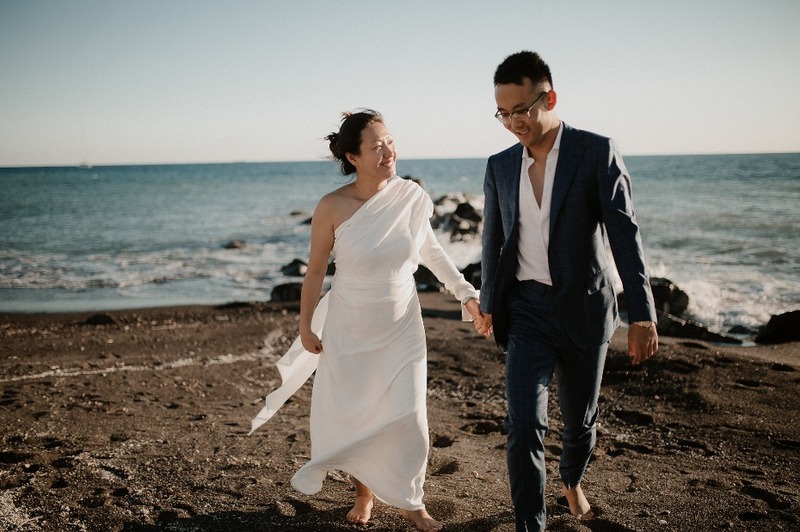 Kelly was five months pregnant at the ceremony, but that didn’t stop her from traveling far from Asia to Greece. 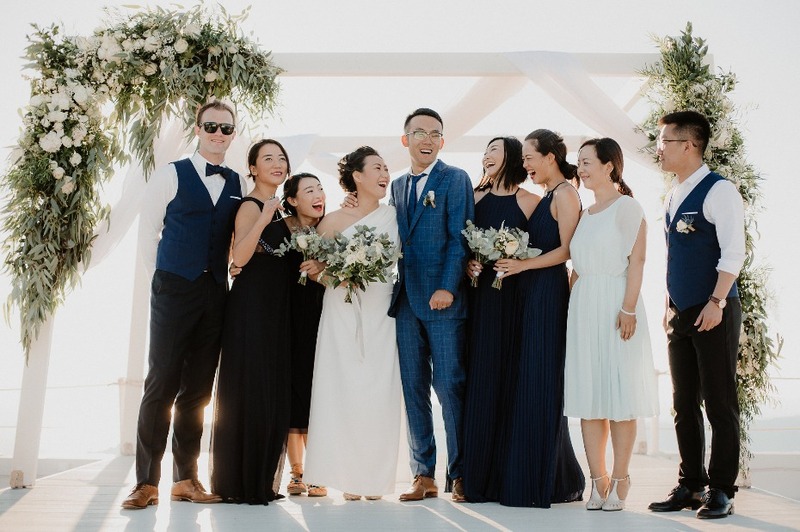 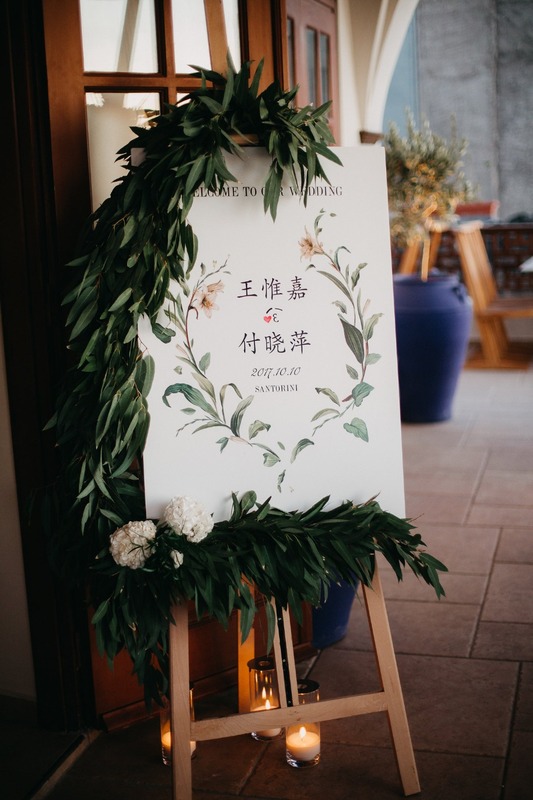 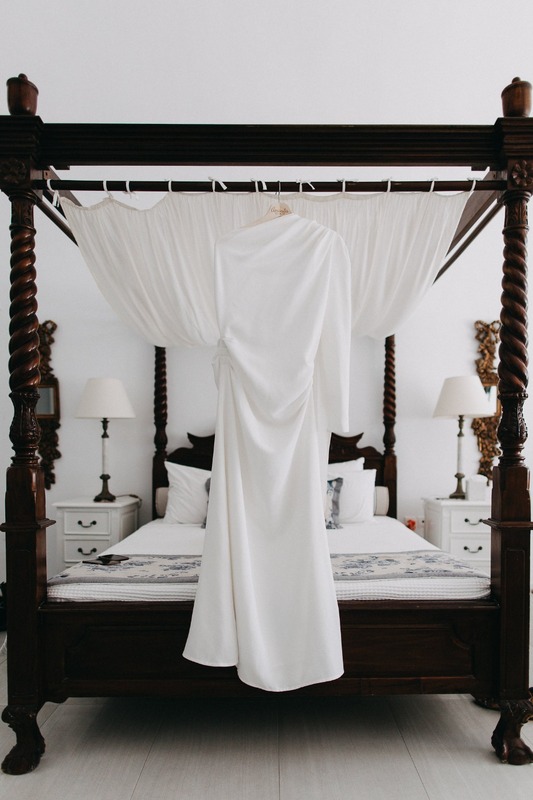 They had an organic style ceremony and reception party in a beautiful boutique hotel overlooking the stunning caldera view. 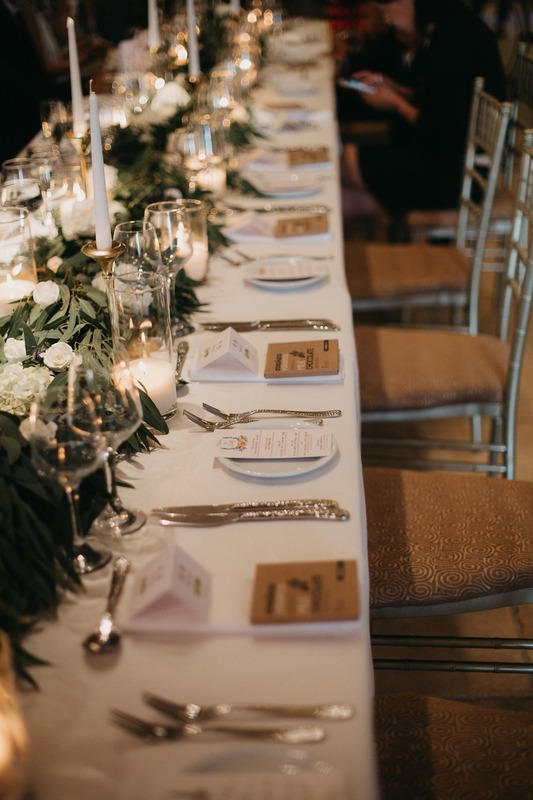 The greenery, gold, and grey details took part at the table set up. 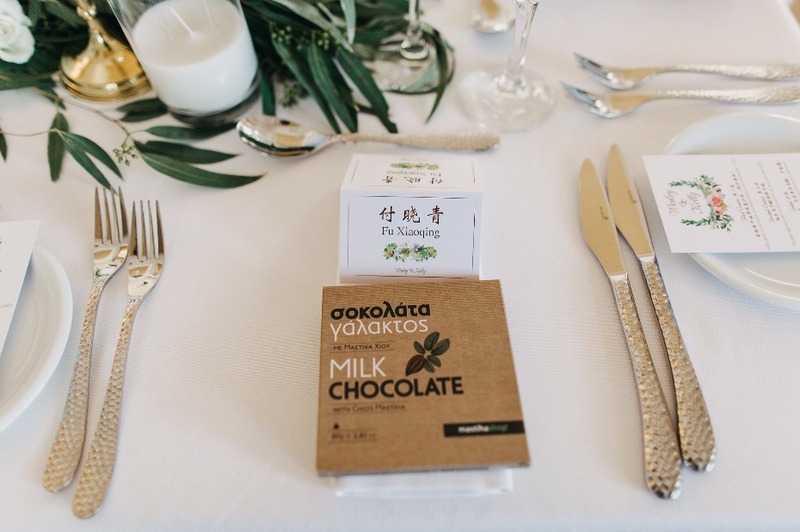 For favors, they gave chocolate in organic boxes with Mustique flavor. 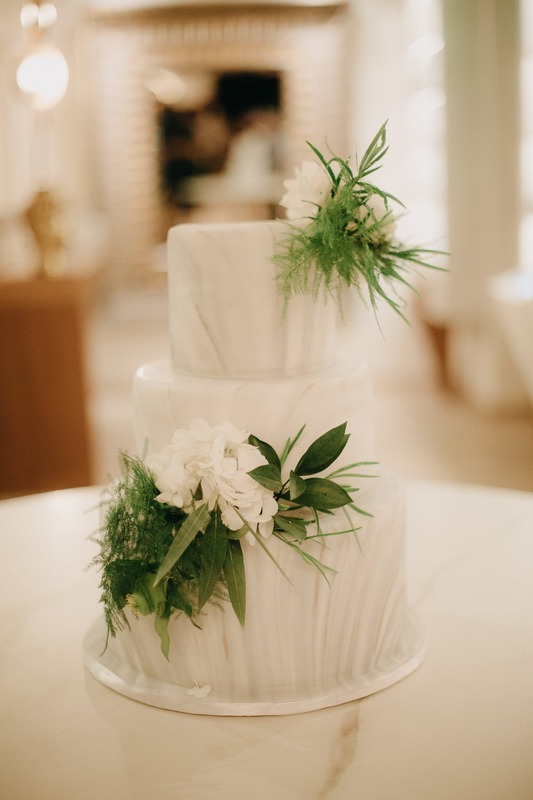 The cake was a 3 layer white and gray marble cake with a touch of flowers. 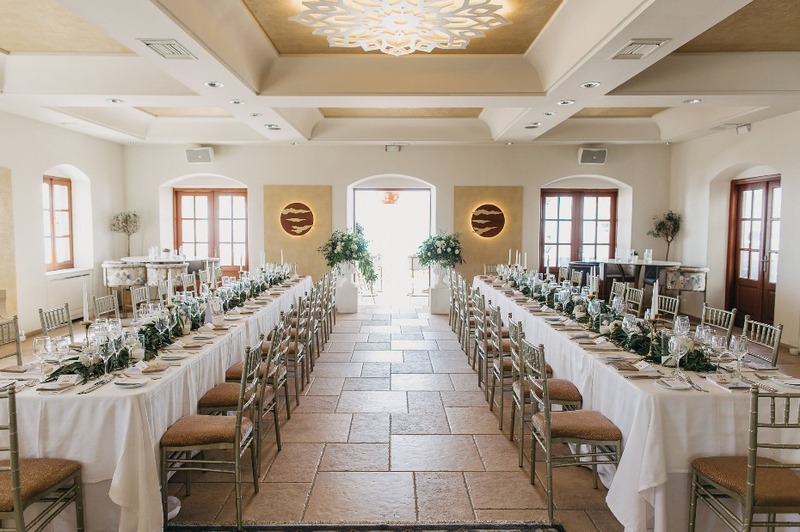 The reception setup featured 2 long tables so all the guest were like a big family. 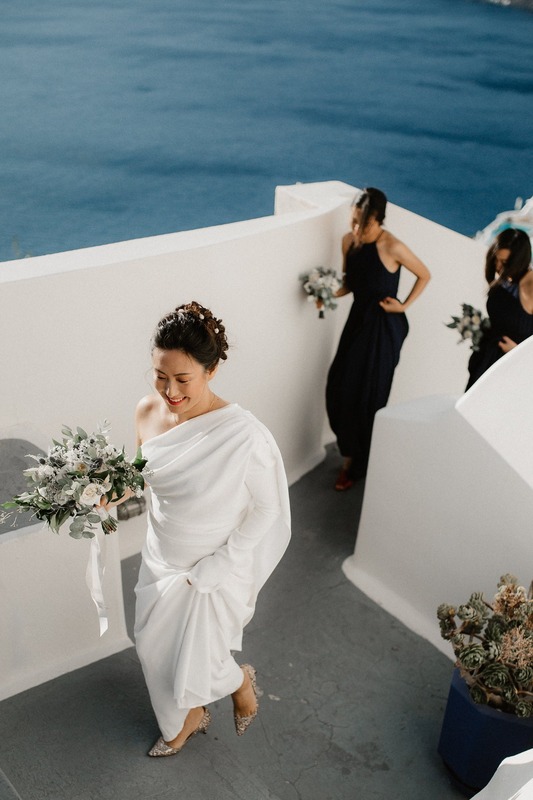 Check out the wedding film from Nikos Fragoulis below to get a closer look at this modern organic wedding!